Discussion on how to tackle waste issue in Hong Kong has been ongoing and some people suggest that charging scheme is the best quick fix for the city’s municipal waste problem. 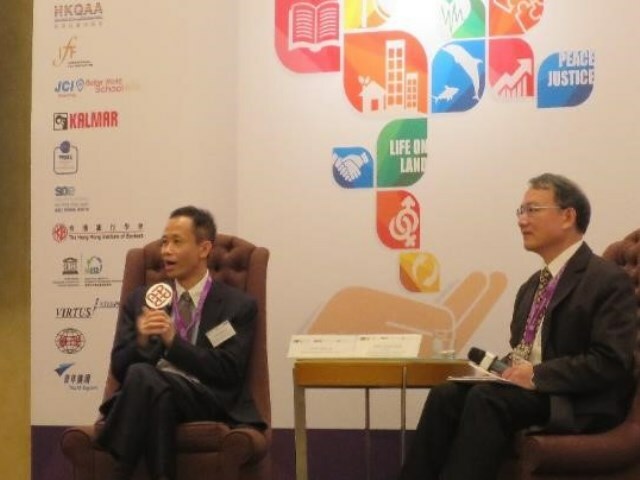 Mr. Joseph Chan, Head, Campus Sustainability opined that attention should be drawn to what’s behind the charging scheme – the opportunities to boost public education on recycling and reusing instead of the monetary charge. Waste is a common problem of affluent societies as economic advancement gives rise to the types and quantities of waste people generate and dispose of. 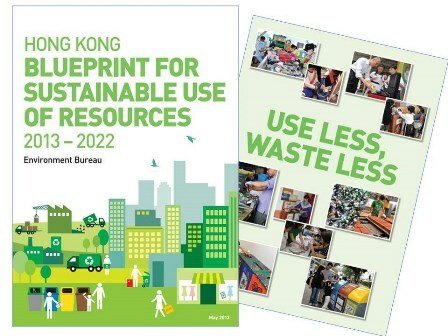 You may be astonished to know the situation in Hong Kong – our city has a rate of 1.36 kg daily domestic waste generation per capita (from Hong Kong Blueprint for Sustainable Use of Resources 2013 – 2022, Environment Bureau, published in 2013). Are we on the right track to tackle this waste problem? Over the years, our government has introduced various initiatives and strategies to cope with this situation. Source Separation of Domestic Waste Programme was launched for over a decade since 2005. The first stage of the Environmental Levy Scheme on Plastic Shopping Bags was implemented since 2009 and the local community was then educated to cut the excessive use of one-off use plastic shopping bags. Nevertheless, these measures and actions alone may not be sufficient to end our waste problem thoroughly and instantly. The truth is - waste problem is more complicated than almost anyone thinks. There is an undesirably high volume of municipal solid waste (MSW) ending up at Hong Kong’s landfills daily, which comprises domestic solid waste coming from households, commercial solid waste coming from shops, offices and businesses, and industrial solid waste which is generated by all industries excluding construction and demolition waste, chemical waste or other special waste. Just think twice and you will realize that almost everything we do daily creates wastes – at home, in the community, socially and at our places of work! In 2012, our government conducted public consultation on the implementation of municipal solid waste charging, and subsequently released a detailed report with proposals of three MSW charging mechanisms in 2014. This is not just a strategy to prepare the citizens with a mentality that it may be a way out to alleviate the waste problem. It is a practical study into the feasibilities of reducing waste generation through waste charging mechanisms. Successful cases of Taipei City and South Korea reveal that volume-based MSW charging scheme is an effective tool to set the scene for public education on waste disposal and management at all levels of the society. It brings about opportunities to change the deep-rooted beliefs and behaviour of residents and commercial/industrial units, who seriously consider ways to reduce or even eliminate waste. The entire society is mobilized to engage in self-started activities in recycling and a more sustainable lifestyle. 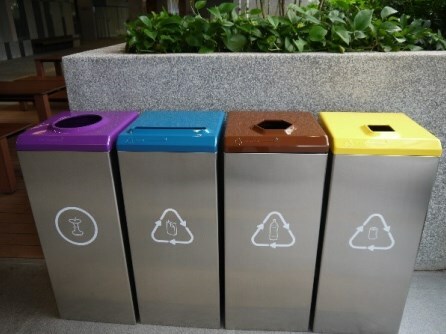 Recently, The Hong Kong Polytechnic University (PolyU) has accepted the invitation from the Environmental Protection Department (EPD) to participate in a three-month trial from September to November 2016 for future municipal solid waste charging scheme arrangement. A dedicated ‘MSW Charging Trial Committee’ was set up comprising members from the Facilities Management Office (FMO), Campus Sustainability Office (CSO) and Campus Facilities Management Company Limited (CFM) who collaborate to plan the process of the trial, monitor the operation and evaluate its effect. During the trial, Main Campus (Phase 1 – 7, JCIT and Phase 8) will rehearse the waste collection and quantifying process following the ‘Pay as You Throw’ concept. “Waste reduction is one of the University’s focus and we have no hesitation to support the government’s call. The experience gained in this exercise will prepare us better for the future implementation of MSW charging on institutional level,” Mr. Joseph Chan, Head of Campus Sustainability, explained why the University supports the trial. “Our participation in the trial weighs more than it apparently shows. 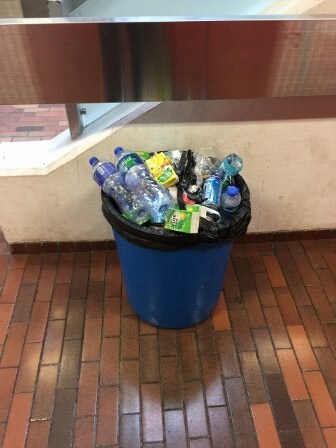 It offers a great opportunity for the University to identify ways to further reduce waste on campus, and encourages our staff and students to make waste reduction a part of their everyday lifestyles,” Joseph commented and highlighted on how this trial will translate into public education. There are plenty of facts out there on why recycling is important, and there are so many good reasons for adding recycling to our routine from a personal or household level. Nevertheless, some of us might have neglected the importance of proper source separation, appropriate recycling manners and clean recycling practices. “It is so common to find recycling facilities and collection bins around the corner. 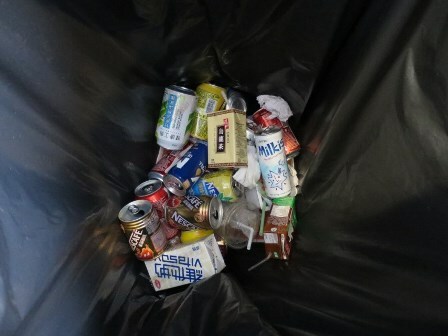 However, some people simply drop anything not wanted into the recycling bins for the sake of convenience without taking into account that they might have made the contents of these bins unrecyclable and dirty. Some people believe that they are doing a favour by putting empty plastic bottles into corresponding recycling bins, but they might be unaware of the step of removing the lids, caps and packaging and rinsing out,” Joseph added. There are other smart waste reduction ideas for offices as well which put zero burden on us. “We all have a choice to green our offices. We can eliminate unnecessary printing and set computers to automatically print two-sided. Network printing arrangement can be applied to achieve better resources management in offices. Reusable envelopes and outdated letterhead can be used for interoffice mail or in-house memo. When it comes to procurement, we can make our purchase in concentrate or bulk form. Bring and use our own cutleries is definitely a good habit, and we can arrange reusable cutleries for participants to enjoy refreshment at our events. Just re-think and there are plenty of ways to reduce waste in the workplace,” suggested by Joseph. Our government has a clear target of cutting municipal solid waste by 40% on a per capita basis by 2022. We need sustained efforts and consolidated actions to prevent and reduce waste. At one time or another we have all no doubt asked ourselves – how much do we discard daily? What are the items that we tend to get rid of just for the sake of convenience? Are we throwing out more waste than we thought? All in all, we are under the same blue sky and our actions count. Before it’s too late, we all have to react and be held responsible for our behavioural change. It’s time to review ourselves and reduce as much as possible the waste sending to landfills. 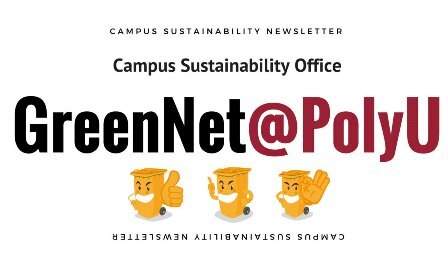 Led by Mr. Joseph Chan, Head, Campus Sustainability, the Campus Sustainability Office (CSO) connects academic and non-academic departments and external organizations and works collaboratively with them to steer sustainability initiatives across PolyU campuses. Provides background information and contacts of the Office and reveals how it drives sustainability efforts across the campuses through a kaleidoscope of initiatives. Tells the major projects and responsibilities of the Office on sustainability planning, running of campaigns and activities to promote the incorporation of sustainability practices into every aspect of campus life. Introduces the various publications of the Office about sustainability and green lifestyle from across the University and the community. Highlights various tools furnished by the Office on green features and facilities on campus. 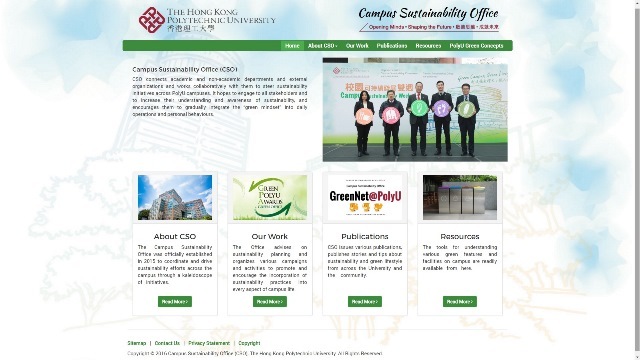 If you have any comments or suggestions, you are most welcome to contact us at green.campus@polyu.edu.hk or 3400 8364. Shark fin trade is still robust due to its high demand as a popular delicacy in Chinese banquets. This persistently high demand has incited fisherman to target sharks solely for their fins, enticed by short-term gain. Taking the stand that more efforts should be recognized to support sustainable seafood and to help conserve these important marine species, PolyU has joined the Say NO to Shark Fin Pledge, an initiative by the Hong Kong Shark Foundation (HKSF), to become a “shark-free” organization. By doing so the University has agreed to exclude shark fins in the menus of university events or entertainment functions, and not to support shark fin consumption in any of its marketing, promotional or PR activities. 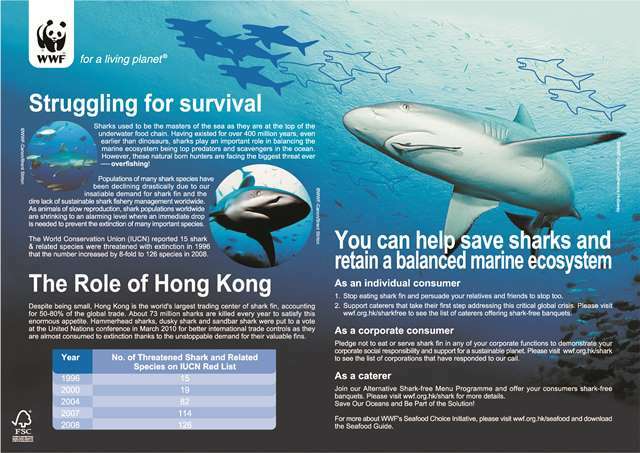 Download the Shark Leaflet published by WWF-Hong Kong to learn about the shark fin trade. 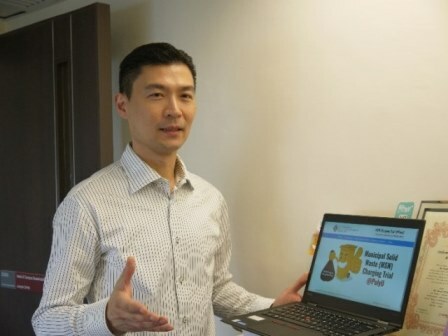 More stories on shark fin trade can be read from WWF-Hong Kong’s website, and information on shark-free companies can be found at HKSF’s website http://hksharkfoundation.org/shark-free-companies/. PolyU, one of the first institutions who signed the Waste Check Charter, was invited by the Environmental Protection Department (EPD) to participate in a 3-month trial on municipal solid waste charging from September to November 2016. The experience gained in this trial will constitute useful reference points and guides for the University and EPD to improve future charging scheme. 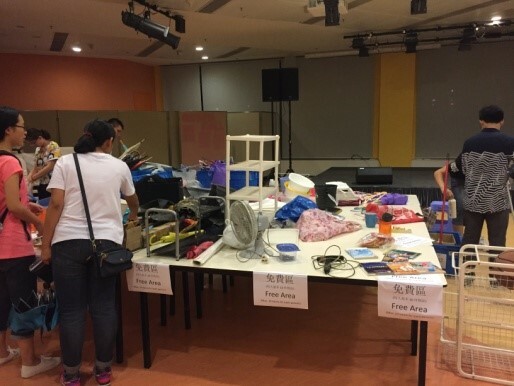 At the same time, PolyU will seize this opportunity to boost awareness on waste reduction, source separation and recycling on campus through publicity and education. During the trial, Main Campus and Block Z will rehearse the waste collection and quantifying process following the “Pay as You Throw” concept. No charges will be incurred to Departments and Offices during the trial period. All waste collected by cleaners from each zone is disposed to the refuse sub-stations located at the Main Campus and then delivered to Government’s West Kowloon Transfer Stations (WKTS) for subsequent disposal at a landfill. Arrangement will be made to measure the weight of waste generated for each zone. The waste collected will be weighed and charged normally at the landfill (so-called “gate fee”). All waste on each floor collected by cleaners using designated bags supplied by EPD is transferred to the refuse room on the ground floor of Block Z, and collected by Food and Environmental Hygiene Department (FEHD) refuse trucks later. Arrangement will be made on campus to measure the weight of waste generated for each floor before collected by FEHD. You can find more information about the scheme from www.polyu.edu.hk/greencampus/msw, with an extended reading to the Environmental Protection Department and Council for Sustainable Development. Do you recall Mr. Bin who marked his first appearance into all PolyU catering outlets on campus and halls since February 2016, inviting you to ‘Eat Wisely’? This home-grown character of PolyU impresses every diner and visitor with its fashionable yellowish outfit, a pair of big eyes and a big tummy. 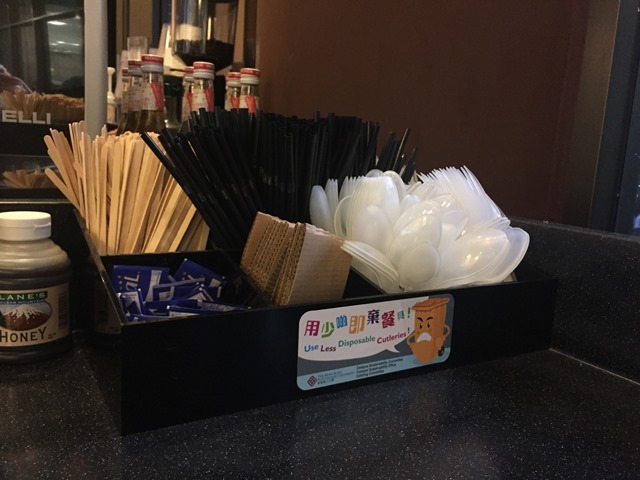 Recently, Mr Bin is in spotlight again in canteens promoting another not-to-be-missed message – to encourage cutting the use of disposable and takeaway cutleries. If you come across Mr. Bin, do listen to his advice and be a more responsible diner! Artocarpus heterophyllus, also named Jackfruit, is an evergreen tree originating from India. It is now widely cultivated in different regions due to its edible fruit. 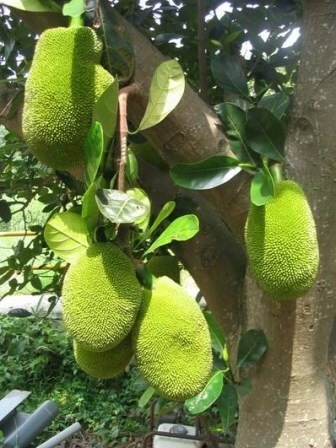 Jackfruits are large and barrel or pear-shaped with hexagonal strumae and coarse hairs. Mature fruits give out a strong sweet perfume. The taste of the yellow flesh is similar to pineapple but much sweeter. This is the reason why it is called ‘Honey pineapple (菠蘿蜜)’ in Chinese. Jackfruit can be made to preserves and also sweet soup with other ingredients. Also, its wood is commonly used for making musical instrument. 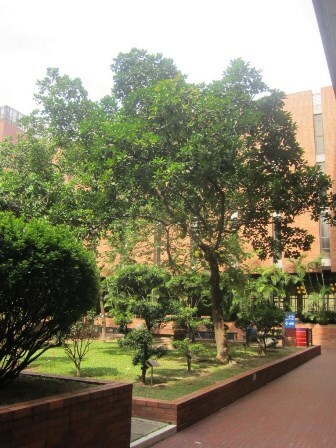 You can find more magnificent trees in PolyU campus from CSO’s interactive tree map at https://www.polyu.edu.hk/greencampus/treemap/. 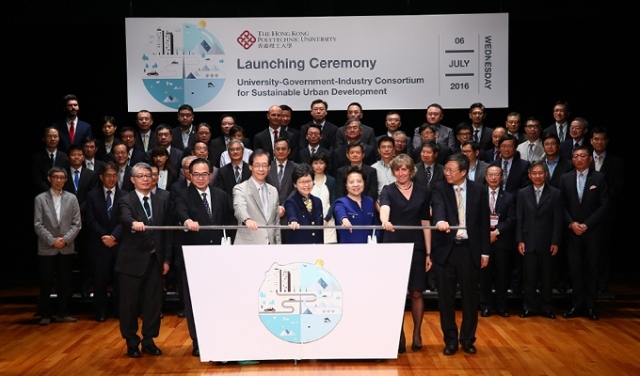 Initiated by PolyU, Hong Kong’s first-ever cross sector collaborative research platform, the University-Government-Industry Consortium for Sustainable Urban Development (UGI Consortium) was officially launched on 6 July 2016. This Consortium serves as a platform to identify topics of social needs and common interests, formulate research proposals and undertake collaborative research and develop and implement new technologies and solutions for sustainable/smart cities and sustainable development in Hong Kong. 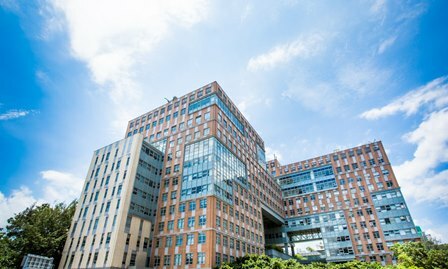 During the first two years of the consortium’s operation, PolyU’s Research Institute for Sustainable Urban Development (RISUD) will serve as the host member and provide administrative support. In the long run, the UGI Consortium will assist in the export of Hong Kong’s experience and expertise to other high-density cities in the Chinese Mainland and beyond, bringing opportunities to sustainable development related industries. 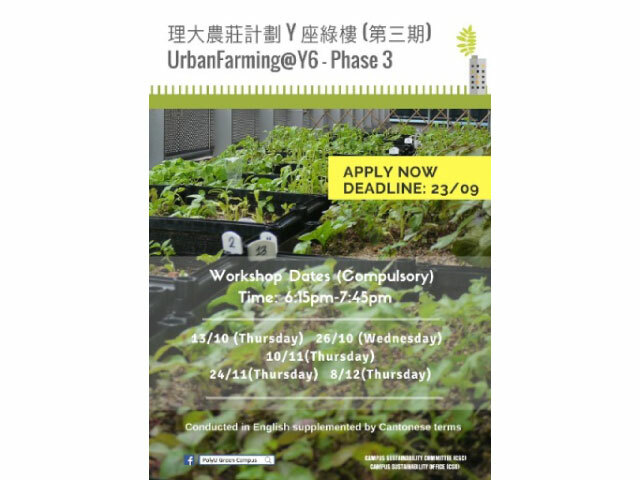 Launched in July 2016, the UrbanFarming@Y6 programme Phase 2 received overwhelming response as it did in Phase 1, successfully engaged 20 groups of PolyU staff and students who aspired to become urban farmers. During the workshops, participants were given the opportunities to understand agricultural theories and concepts, and were given hands-on training on removing weeds, mixing compost and applying fertilizers and nutrients. They worked attentively on their own planter boxes and lovingly nurtured their own vegetables and herbs with their own hands. This farming programme moves on and enters into its Phase 3 in October 2016, with the aim to involve and train up more and more genuine home gardeners and to promote the benefits of sustainable farming. With the determination to help tackle food waste problem and to remind all stakeholders that food is a precious resource, PolyU has taken serious measures to drive food waste reduction and recycling on campus. 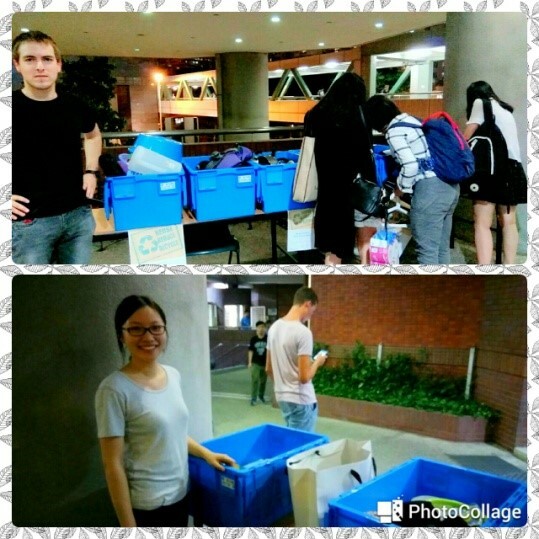 Apart from having all major caterers on campus and catering outlets at students halls joining the ‘Food Waste Source Separation and Recycling Program’ since 2013, a campaign on ‘Pantry Food Waste Collection Trial in Block Z’ took place from April to June 2016, enabling all users at Block Z to participate in food waste source separation and recycling. Feedbacks were sought from users at Block Z on the trial and the response was encouraging. As a result, the University has decided to run pantry food waste collection in Block Z on a permanent basis from July 2016 onwards to generate more fruitful results in minimizing food waste. Also there are plans to run similar trial on other campus locations. 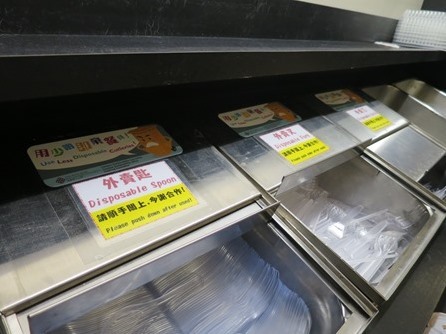 PolyU has a strong commitment to reduce solid waste being disposed to landfills. Nevertheless, departments and offices going through equipment or computer upgrade in their offices and computer labs often face the challenge of stocking up a high volume of Styrofoam packing material which used to be piling up at landfill sites. 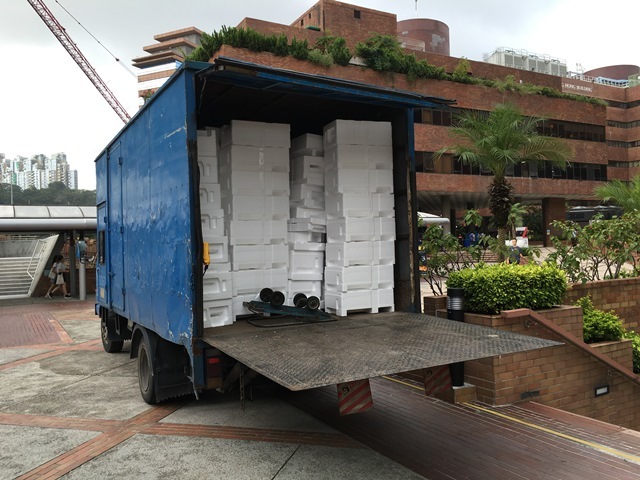 An exercise was coordinated by the Campus Sustainability Office (CSO) to collect the Styrofoam packaging material on campus and deliver to a recycling company. For those departments and offices with the heart to become more environmentally responsible, please approach CSO in advance for discussion when a considerably high volume of Styrofoam packing materials is already in anticipation. 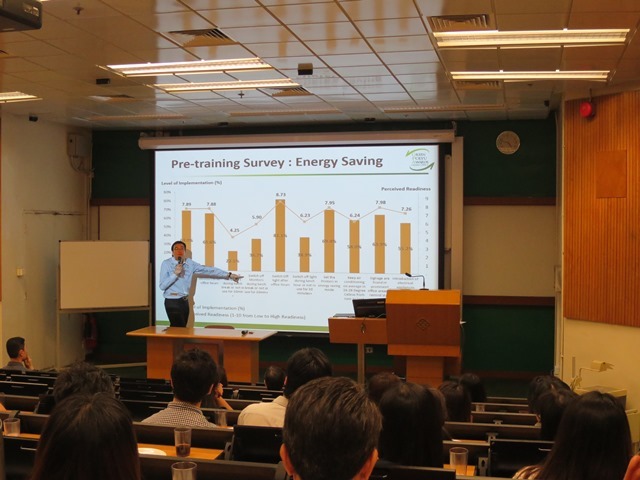 The first and second training seminars of the Green PolyU Awards – Green Office programme, namely ‘Seminar on Climate Change – Impacts to our Daily Life’ and ‘Seminar on Waste Management and Green Procurement – How to integrate 3Rs in your daily office operation’, were successfully held on 12 July and 20 September 2016 respectively. 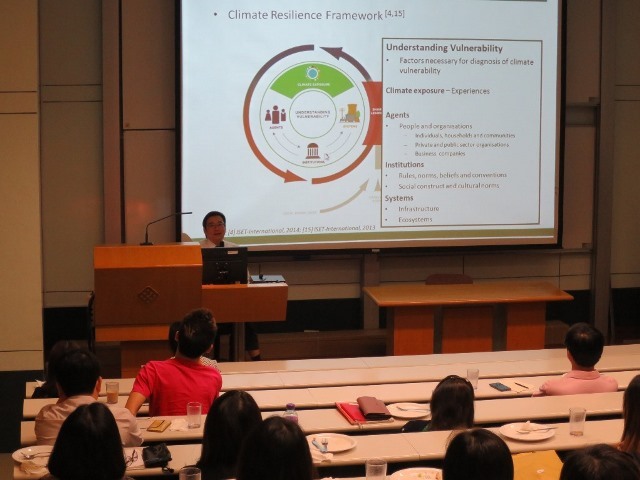 Through these seminars, PolyU Green Officers gained insights on how climate change affects our daily life and how the global communities attempt to tackle the climate change challenge. They also got practical tips and useful references on what should be done to go green at the office. 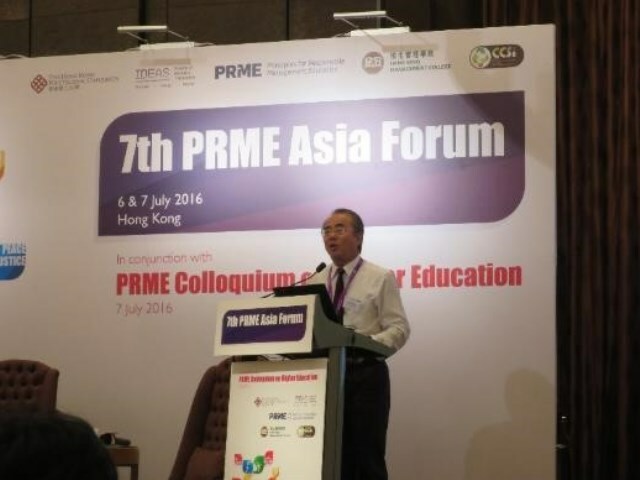 To gauge views on engaging students, businesses, NGOs and policymakers in promoting responsible leadership, sustainability and corporate responsibility, the Faculty of Business of PolyU held the 7th Principles for Responsible Management Education (PRME) Asia Forum with theme ‘Stakeholder Engagement for Responsible Management Education in Contributing to the Sustainable Development Goals’ on 6 to 7 July 2016 inviting over 130 participants across countries and industries to gather, inspire insights, and explore our roles in driving actions to realize sustainable development goals. Speakers and guests had a fruitful open dialogue on taking forward the sustainable development of Hong Kong and Asia, in particular how to promote sustainable development to young people who are the future builders of the society. Almost all speakers and guests at the event agreed unanimously that achieving sustainability requires concerted efforts from the entire community. Sustainability principles should be embedded into government policies and planning, academic research, business operations, education, workplace practices and territory-wide awareness-building initiatives. Green Green Hall Community (GGHC) helps students navigate and explore three major criteria (Reduce, Reuse, Recycle) required to become a Green Community, in turn qualifying them as green citizens and educating them more about energy efficiency and renewable energy resources at the local level. Recently, GGHC organized the redistribution of recycled items for the freshmen. In the upcoming semester, GGHC will bring out exciting activities like mountain clean-up and movie night for its hall residents and spread awareness. Presently, GGHC is keen to recruit enthusiastic students who want to create a difference with “greenness” in communities. 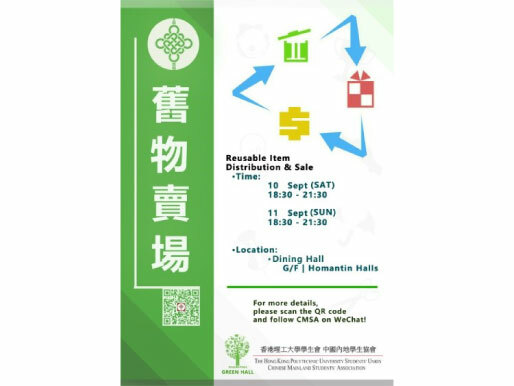 The Reusable Item Distribution & Sale, jointly organized by Green Hall and the Chinese Mainland Students' Association (CMSA), was held in September 2016 in the Homantin Halls. A large number of items were disposed of during the check-out period of last semester. 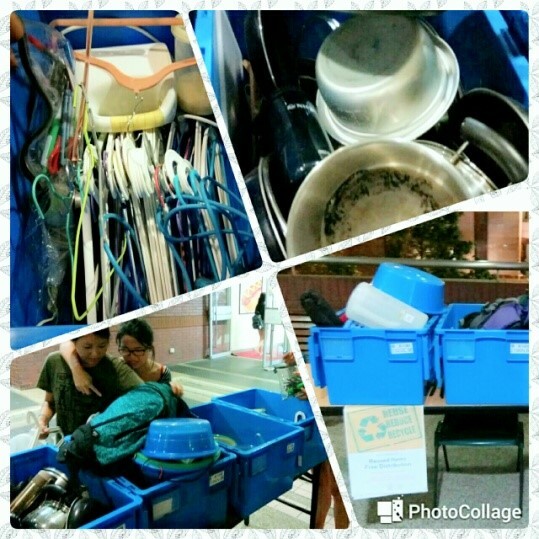 In order to reduce waste and raise the awareness of environmental sustainability among residents, Green Hall and the Chinese Mainland Students' Association (CMSA) teamed up to collect reusable items for new residents’ use. Residents could choose to donate items or sell them at a low price. On 10 & 11 September of 2016, the Reusable Item Distribution & Sale was held witnessing around 200 participating residents and more than 600 reusable items were distributed or sold to residents. 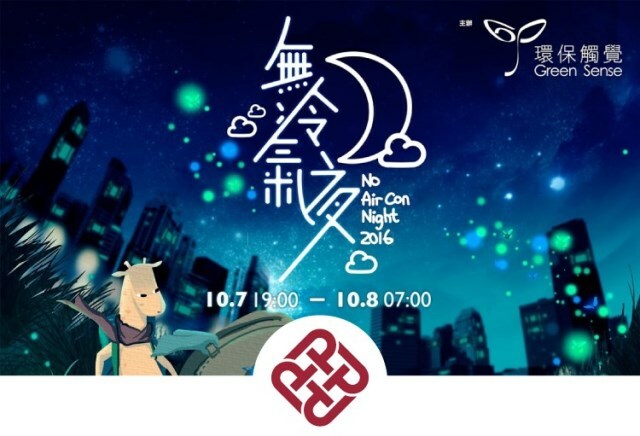 In its 7th year, Green Sense launched ‘No Air Con Night’ on 7 - 8 October 2016 from 7:00 p.m. to 7:00 a.m. to promote the wise use of air-conditioning. The same event in 2015 witnessed a record of over 88,000 households joining who turned off air conditioning at home and hostels. PolyU has been in full support for this event and encourages students and staff members to participate, which translates into an understanding of the importance in reducing greenhouse gases and saving energy. More information can be read from their website. 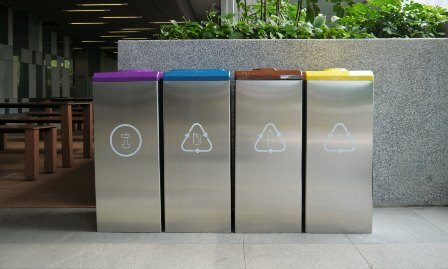 To enhance the awareness of better source separation and promote recycling habits, UniRe® (University/Universal Recycling Facilities), a brand new set of recycling bins designed by the Public Design Lab of PolyU’s School of Design, is introduced to offer greater convenience in waste recycling on campus. 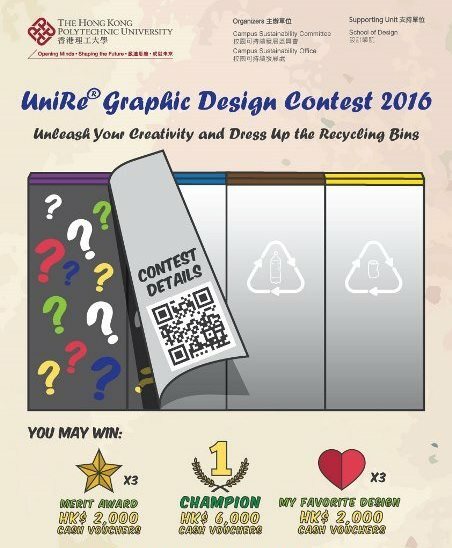 The Campus Sustainability Committee (CSC) and Campus Sustainability Office (CSO) have jointly organized the UniRe® Graphic Design Contest. Students and staff members are invited to share creative ideas on the exterior appearance of new recycling bins and winners will have the chance to win HK$ 6,000 cash vouchers! Don’t miss this opportunity and apply to show your creativity before it closes! You can apply by completing the Online Application Form and read more details about the Contest from its webpage. 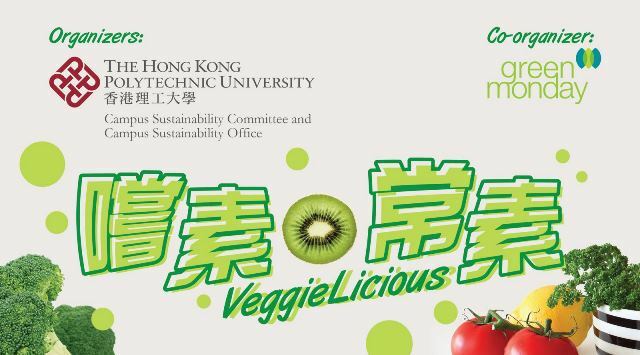 VeggieLicious is an annual veggie promotional event jointly organized by Campus Sustainability Committee (CSC) and Campus Sustainability Office (CSO). With the support from Green Monday, Catering Committee and other PolyU departments, a series of interesting and educational activities such as talks, cooking class, workshop and lunch ceremony are held in October 2016. Students and staff members are welcome to join and know more about how a plant-based diet helps to maintain good health and bring about environmental benefits. More information about this event can be read from VeggieLicious 2016. 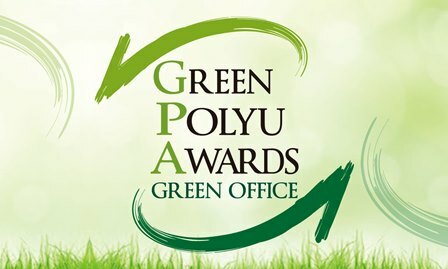 The Green Society of The Hong Kong Polytechnic University Students’ Union (HKPUSU) is founded upon a group of nature-loving students who dedicate themselves to promoting green culture. This student body has formulated a good plan covering the coming academic year and is about to organize a nice matrix of events and activities to promote a green lifestyle on campus. DIY Workshops, ecological tours, social service experience, “Half-study, half-farm” experience and barter party, etc. will be held which provide tremendous opportunities for students to enjoy and experience a green campus life. How to facilitate smart choices for consumers? How to promote best practices among businesses and the public sector? What kinds of education and publicity activities should be pursued? The Council will run a roving exhibition in PolyU during 7 to 11 November 2016 (Mon-Fri) at 3/F Foyer, Lee Shau Kee Building (Block Y). Let’s go and pay a visit to learn about how biological resources affect the various aspects of our life and what we should do to conserve the natural habitat and resources. 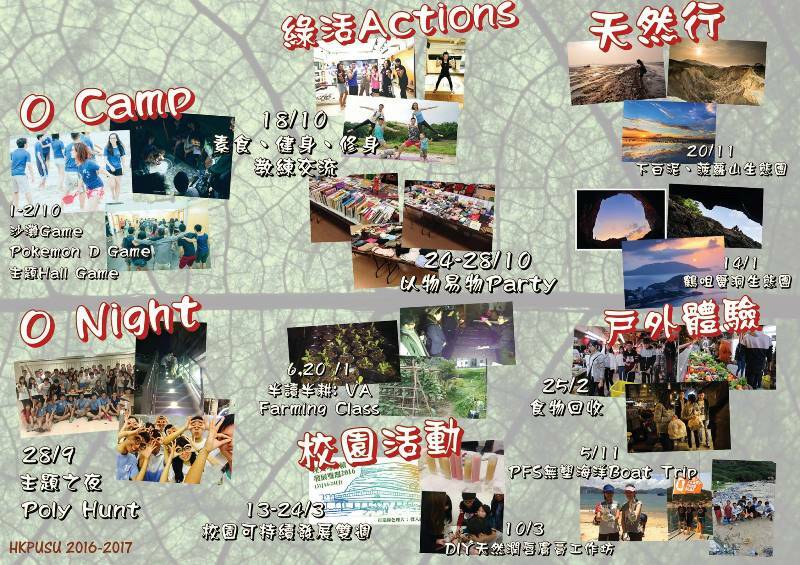 Disclaimer: The above-mentioned activity is not organized by Campus Sustainability Committee or Campus Sustainability Office, PolyU. Please contact the organizer directly for details. 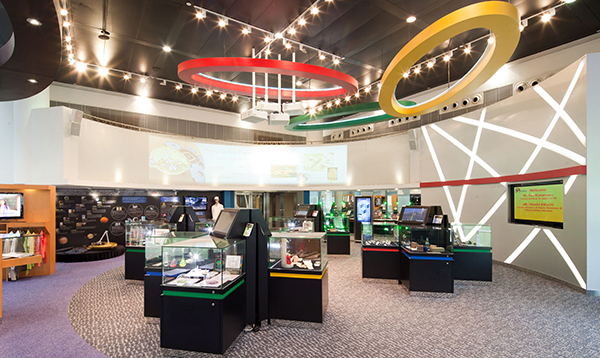 The House of Innovation (HoI) is the technology showroom on campus which features PolyU’s wide range of fascinating research achievements from various disciplines including Biotech and Healthcare, Construction and Environmental Technology, Design, Engineering and Physics, Hotel and Tourism Management, Humanities and Social Science, Information and Communications Technology. It also has three dedicated areas themed on Textile and Fashion, Space Exploration and Structural Health Monitoring Technology. It will be open to the public at the dates shown below and you are invited to make a journey there. Time: 1:00 p.m – 6:00 p.m.
For enquiry, please contact Ms Tse on 3400 2929. 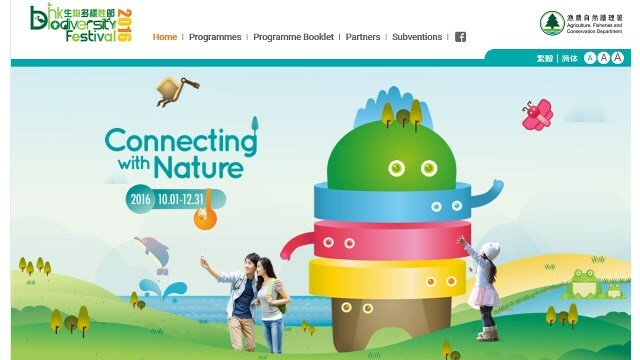 ‘Connecting with Nature’ is the theme of the Hong Kong Biodiversity Festival 2016 (HKBF2016) and it runs from 1 October to 31 December 2016. Over 130 related educational programmes including eco-tours, visits, nature workshops and more will be organized for public. This fascinating event which aims to bridge the public with our nature is jointly offered by the Agriculture, Fisheries and Conservation Department and 40 organizations, including non-government organizations, tertiary institutions, government departments and the business sector. It’s time for urban dwellers to move and learn more about our neighbors in nature! 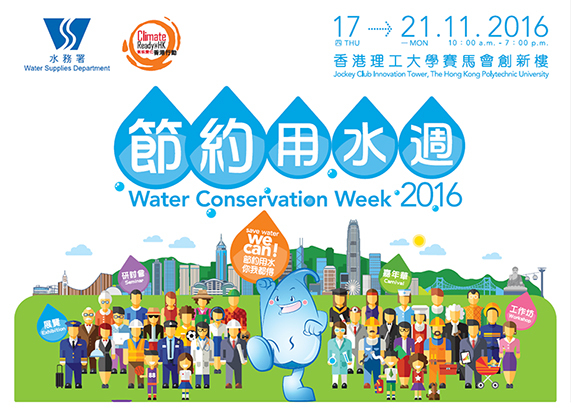 With the support from various parties and stakeholders, the Water Supplies Department organizes the "Water Conservation Week 2016". Thematic programmes and activities will be offered during 17 – 21 November 2016 at PolyU’s Jockey Club Innovation Tower daily from 10:00 a.m. to 7:00 p.m. Through participating in these activities, we can learn from the past and present and map out what should be done for the future in water conservation and to overcome the challenge of climate change. More information about this week can be read from its website at http://www.wsd.gov.hk/en/highlight/index_id_102.html. Show your support to the Water Conservation Week 2016 and make every drop count! 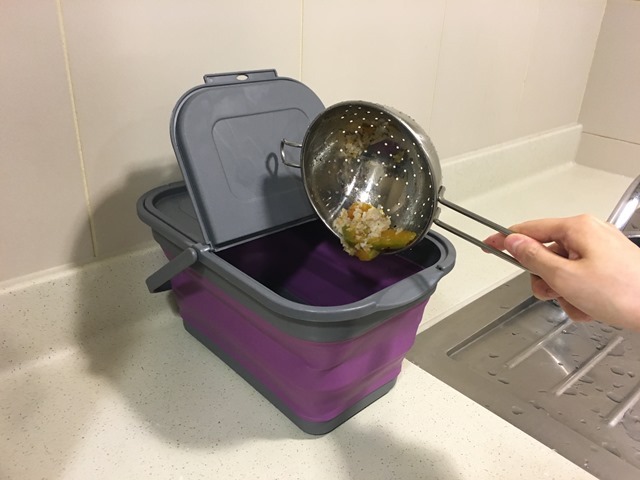 In support of the HKSAR Government’s policy and initiatives on food waste reduction, the Hong Kong Women Professionals & Entrepreneurs Association (HKWPEA) together with the Hong Kong Productivity Council (HKPC) launch the FoodEver WasteNever Programme, calling for community support to reduce food waste. 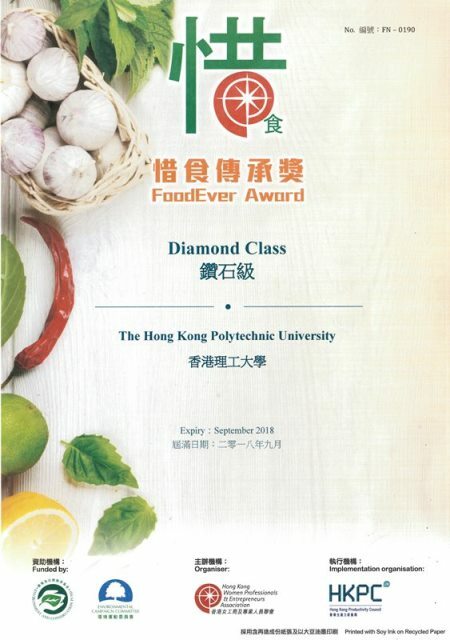 PolyU received the Diamond Class of FoodEver Award 2016 recently as a recognition of the University’s efforts to combat the food waste problem. 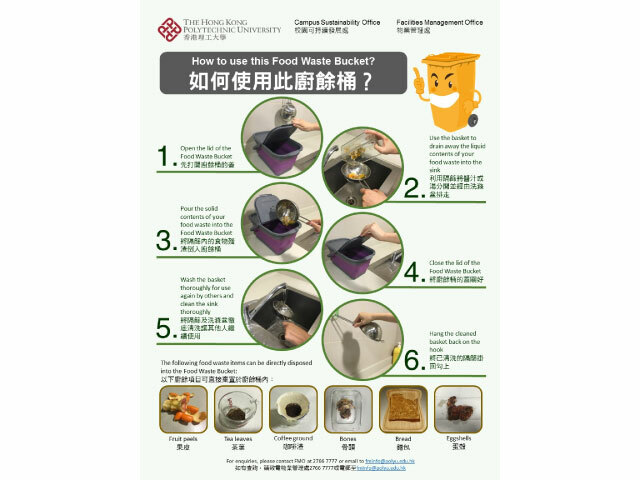 As one of the signees of the Food Wise Charter in the Food Wise Hong Kong Campaign, PolyU has taken serious measures to drive food waste reduction and recycling on campus. All major caterers on campus as well as catering outlets at student halls have joined the ‘Food Waste Source Separation and Recycling Program’ since 2013, giving food waste a ‘second life’ by having them recycled into animal feed and fertilizers. The University has also identified various opportunities to promote green dining habits. Details about the Award can be read from the programme website at http://foodever.hk/. 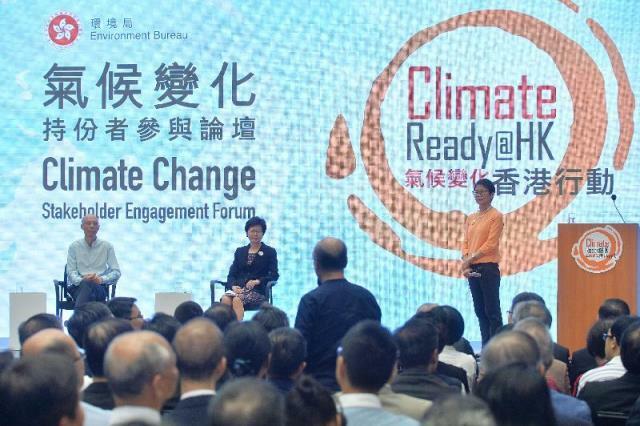 The Environment Bureau held the Climate Change Stakeholder Engagement Forum on 12 July 2016. More than 600 stakeholders from various sectors including energy and transport, property management, hotels, construction, education, banking, waste recycling, religious groups, professional bodies, trade associations and civil servant groups, as well as members of legislative council and NGOs joined and exchanged ideas on Hong Kong’s long-term climate strategy. The views collected from the forum and other channels will be summarized by the government to establish an enhanced climate change work plan to meet the carbon reduction target for 2030. 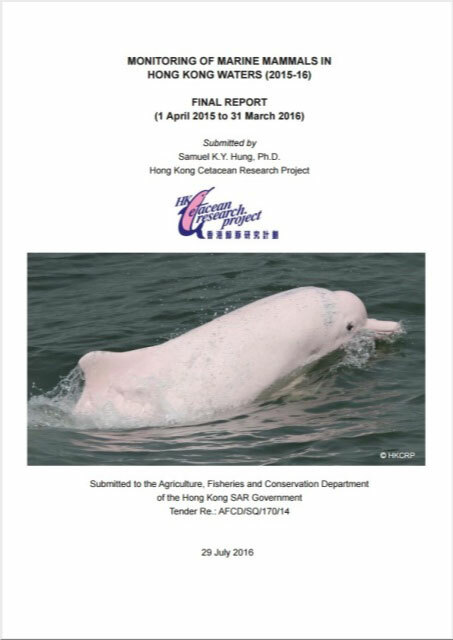 The monitoring report of marine mammals in Hong Kong waters, covering the period of April 2015 to March 2016, was released recently and provides information and data on summarizing the distribution and abundance of the Chinese White Dolphins and Indo-Pacific finless porpoises in Hong Kong. It can be read from http://goo.gl/uDCFeL. Research programmes on Chinese White Dolphins and Indo-Pacific finless porpoises have been conducted in Hong Kong and Pearl River Delta region since 1995. The studies aim at providing scientific information to formulate conservation strategies for the local dolphins and porpoises. 22 September is the World Car Free Day. This international movement aims at encouraging public to use public transport instead of private cars on that day in order to reduce carbon emission and tackle air pollution since air pollution draws adverse impact to the environment and public health. Friends of the Earth (HK) (FoE(HK)) held the “No Car Day 2016” in Hong Kong on 22 September 2016 with more than 140 organizations and 370 individuals joining to support this initiative. A PolyU graduate, Sam Chong, founder of EasyGreen, was recently interviewed by local media on his story of running a social enterprise in farming. 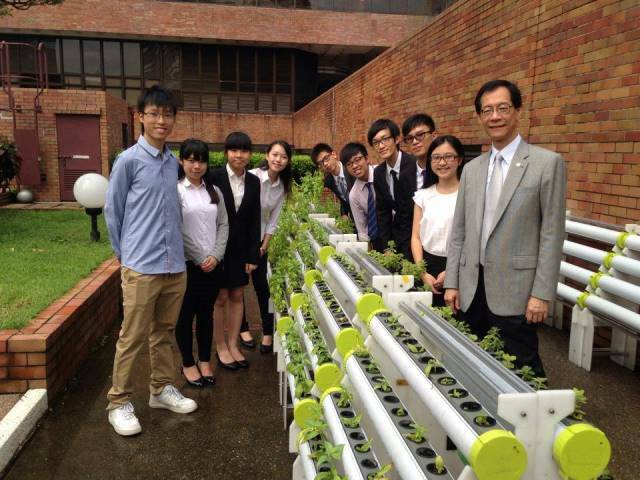 Sam was awarded HK$100,000 from the PolyU Micro Fund in 2014 to establish the hydroponic farming system at PolyU and provide related farming training programmes to secondary and primary schools. Since then EasyGreen was granted several innovative technology and social enterprise funds. 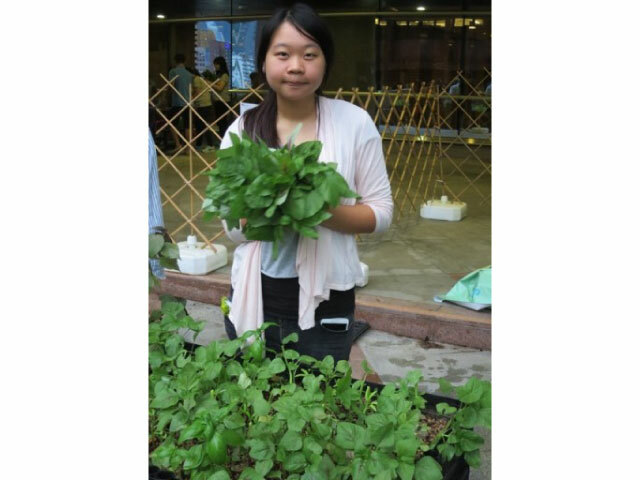 With a new farm site in Fanling, Sam targets to expand the scale of EasyGreen and investigate into appropriate agricultural models in Hong Kong in which citizens of diverse backgrounds can enjoy and relax through farming. He will also go to Cambodia and Myanmar to offer practical advice in improving local farming. More details of the interview can be read from http://goo.gl/FN8Ltm. 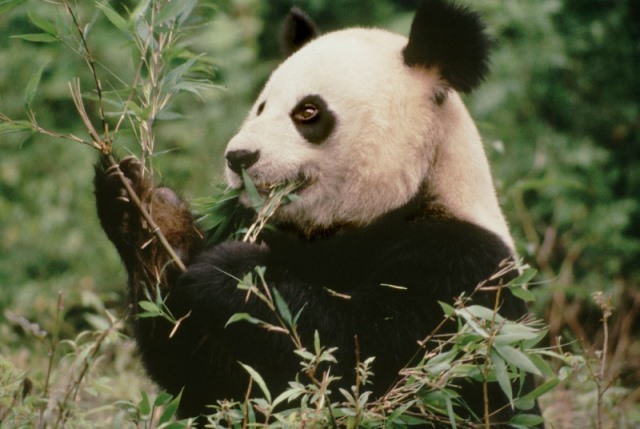 The giant panda has been removed from ‘Endangered’ to ‘Vulnerable’ on the global list of species at risk of extinction. The International Union for Conservation Nature (IUCN) announced there was a 17% rise in the population of giant panda from 2004 to 2014. The conclusion is based on the nationwide census in 2015 showing 1,864 giant pandas were found in the wild in China. In the past 35 years, numerous measures have been implemented in China including establishing a giant panda reserves and wildlife corridors. Great effort was also paid in order to mitigate the impact on the wildlife habitats by the local communities. Even though the population of giant panda has been greatly increased, some species are still under increasing threat such as the Eastern gorilla which is now on the ‘Critically Endangered’ list due to large-scale poaching. 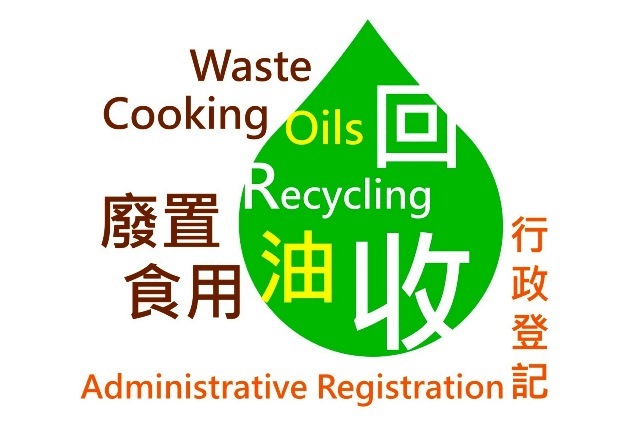 In respond to public concern on the safety of edible oils, the Environmental Protection Department (EPD) and the Food and Environmental Hygiene Department jointly introduced the "Waste Cooking Oils" Recycling Administrative Registration Scheme in 2016. 118 applications comprising 102 collectors, 11 processors and 5 exporters have been approved up till now. 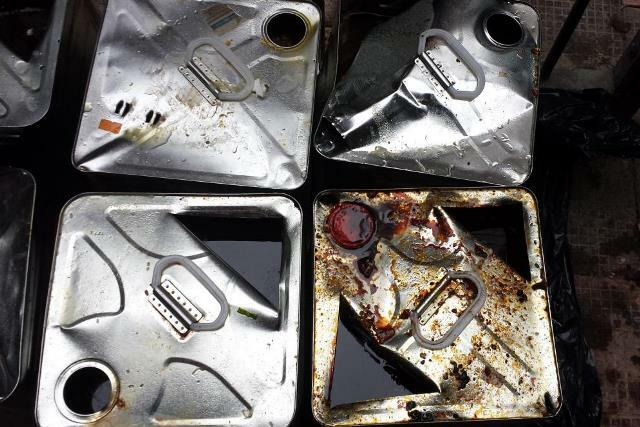 Waste cooking oils can be recycled and converted into industrial products such as biodiesel and soap. The said Scheme aims to facilitate waste cooling oil recycling and stop the oils re-enter the food-related business. More information about the Scheme can be read from https://goo.gl/XObvNT.